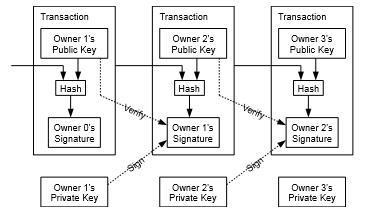 In bitcoin, each transaction's signature is signed with previous owner's private key. Then, how sign the first transaction's signature? See Bitcoin Wiki. Above image illustrates a byte-map of transaction with each type of TxIn and TxOut. We should attention at "Coinbase/Generation" (Coinbase means the first transaction in a block). Codebase's script is a arbitary data. Yep, it is random. Therefore the signature of first transaction of a block is not used. Not the answer you're looking for? Browse other questions tagged transactions private-key signature or ask your own question.